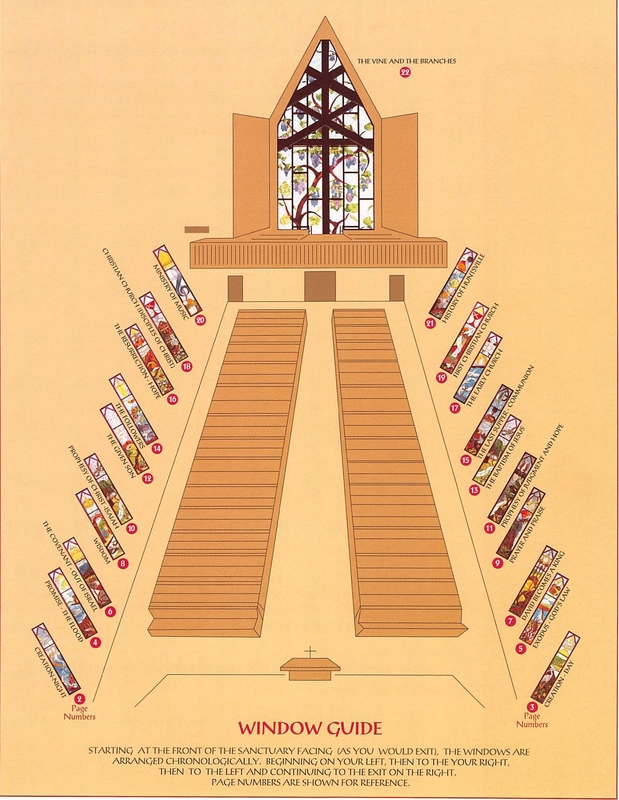 In 1993, the congregation decided to replace the old windows in the sanctuary with stained glass. In April of that year the project began, and by July the twenty side windows and the unity window were in place. Hard copies of the stained glass booklet are available at the church.